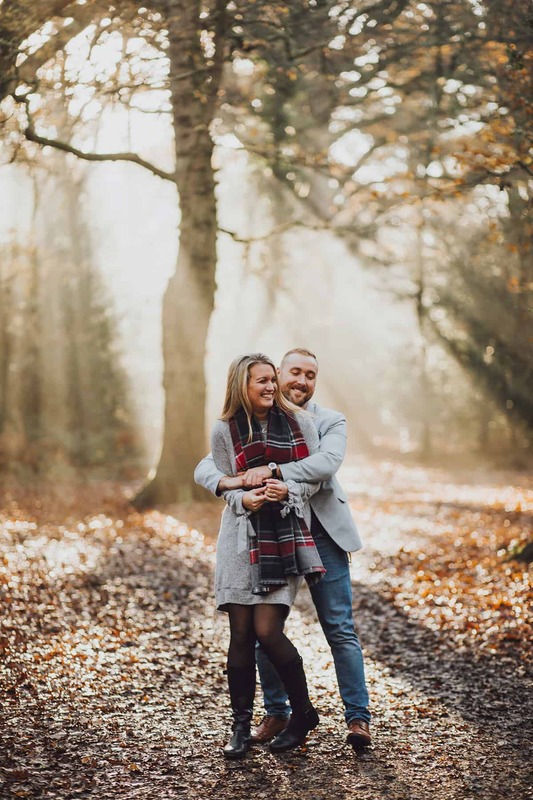 I met Sophie and Dan for the first time at Emily and Fletchers wedding and for the second time at Kate and Mike’s wedding! 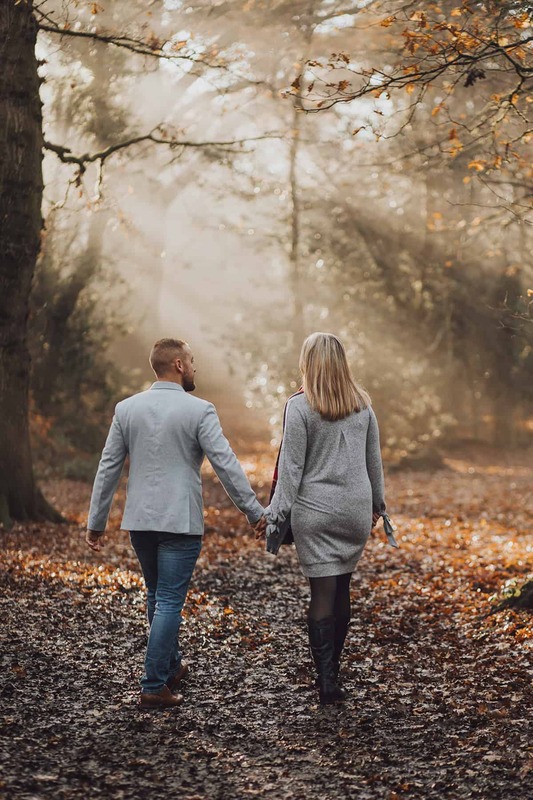 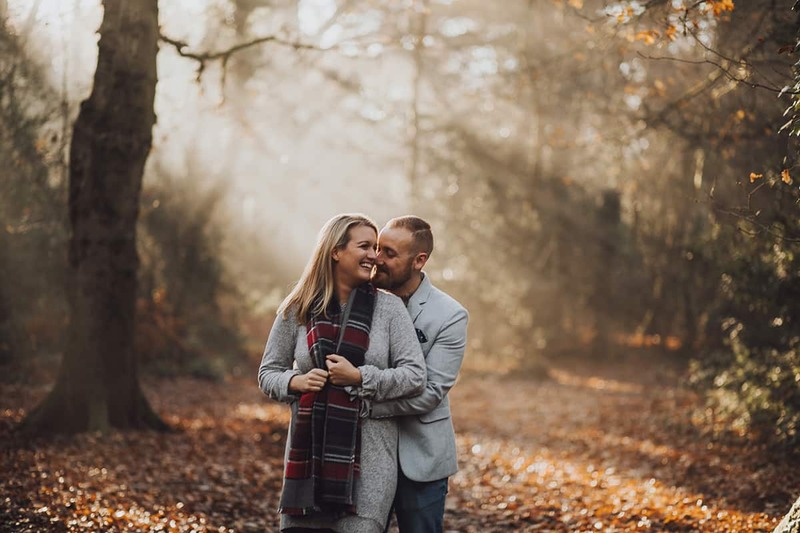 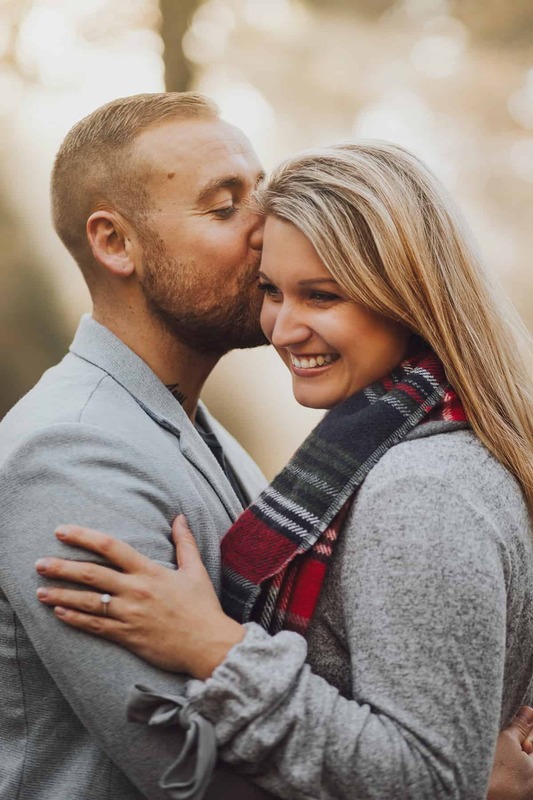 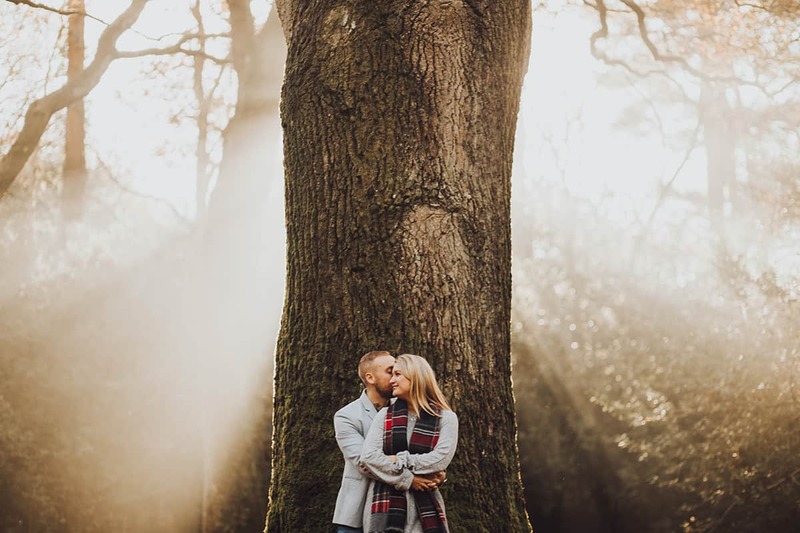 Sophie and Dan asked to have their engagement session in Delph Woods. 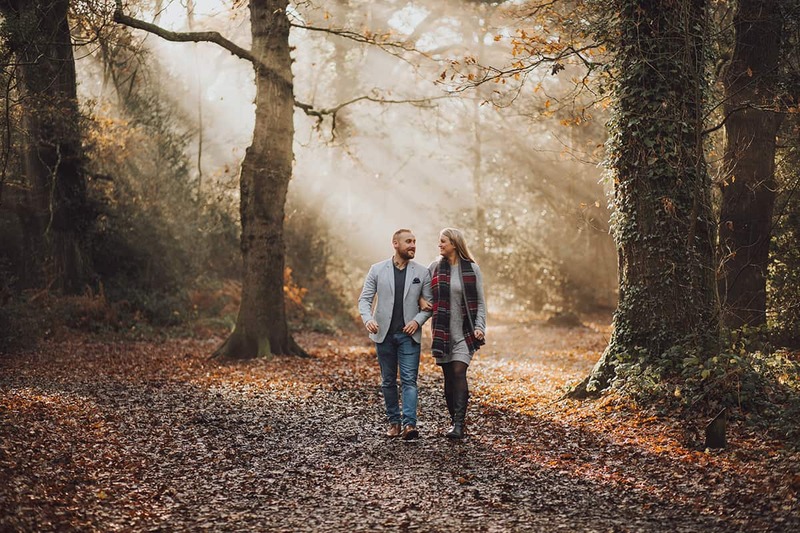 It’s a 5 minutes from their house and a place they love to come and stroll around. 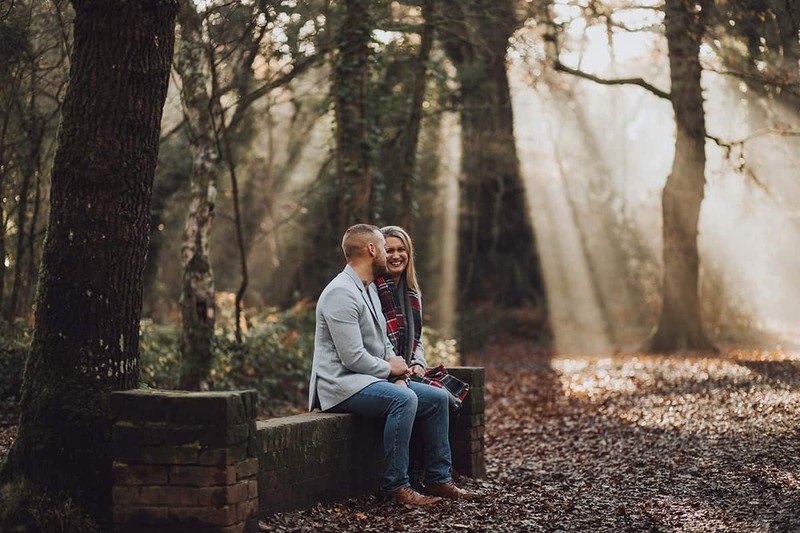 Delph Woods is 24 acres of beautiful woodland paths, a shallow stream with footbridges and a grassy are too. 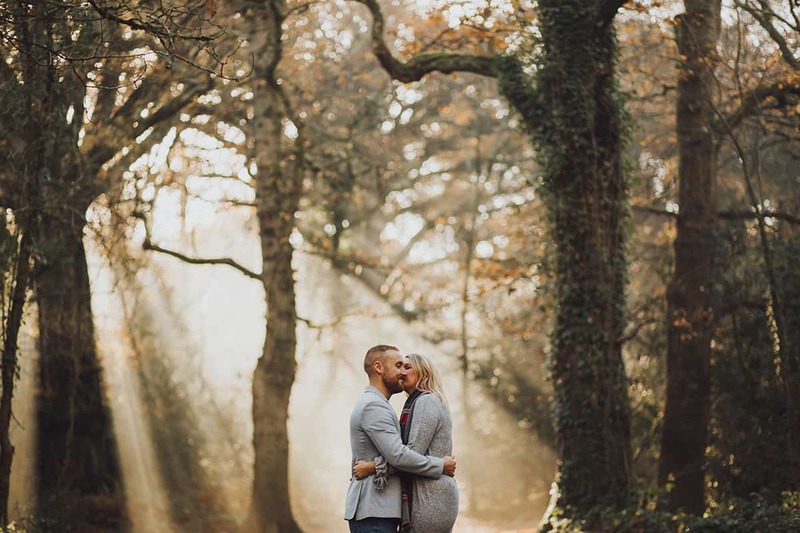 I’d never been here before, I hadn’t even heard of it, but as soon as I arrived, I fell in love! 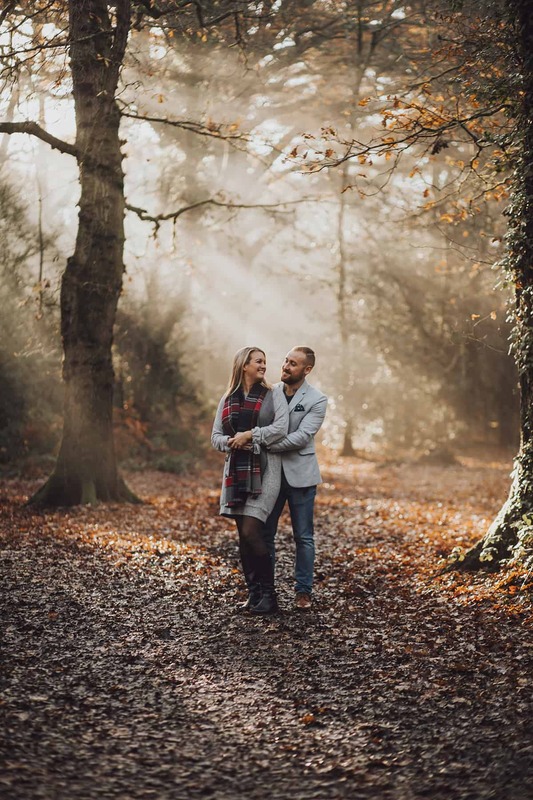 The forest is so beautiful and we were so fortunate to have chosen a chilly but sunny December morning. 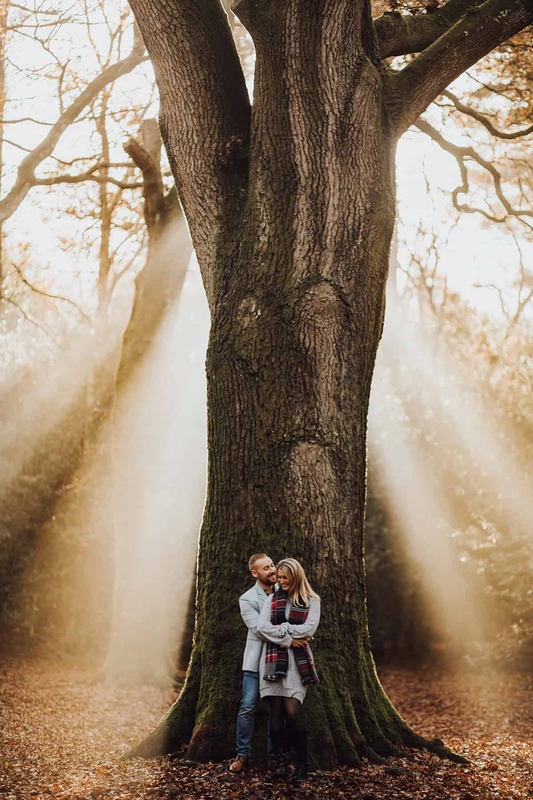 The sun was coming through the trees, catching the frosty air and creating these gorgeous sun beams that were out of this world. 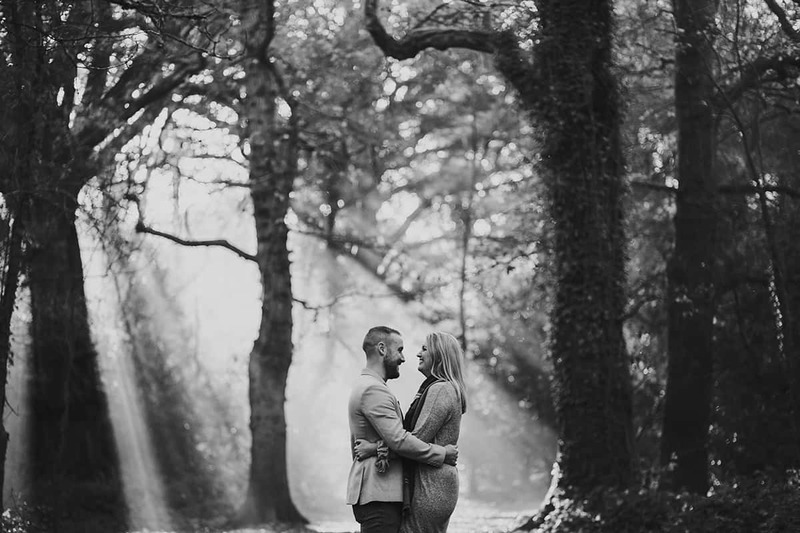 Now anyone who knows me, or who has had a shoot with me will know how much I love amazing light, especially sunlight when it does magical things. 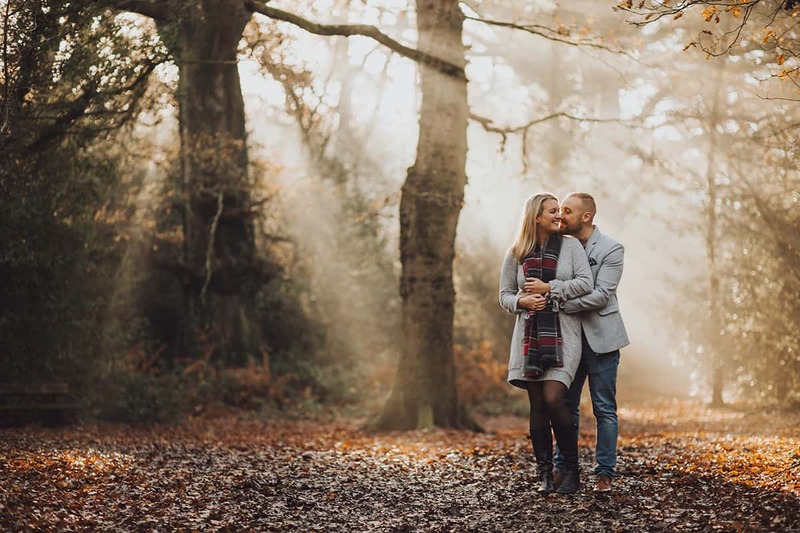 I was definitely dancing around the forest, ridiculously excited at the concept of photographing this beautiful couple in this light. 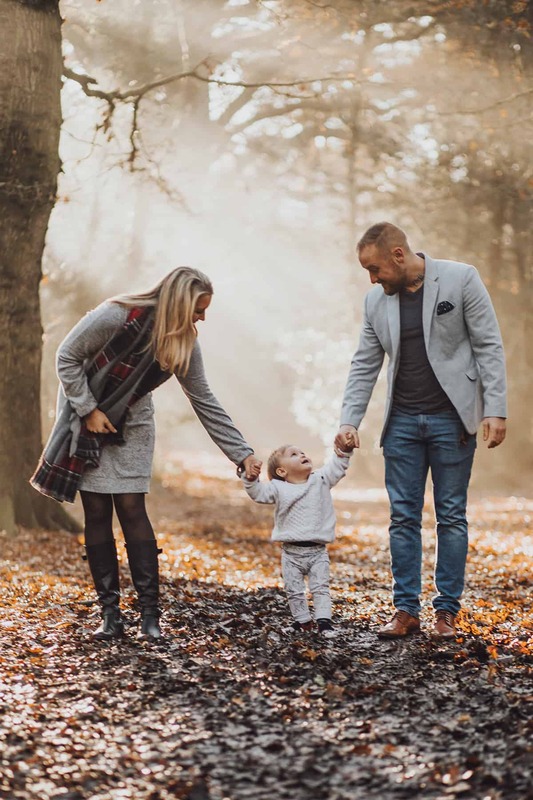 They also brought their young son with them too so we could get some photographs of them as a family too. 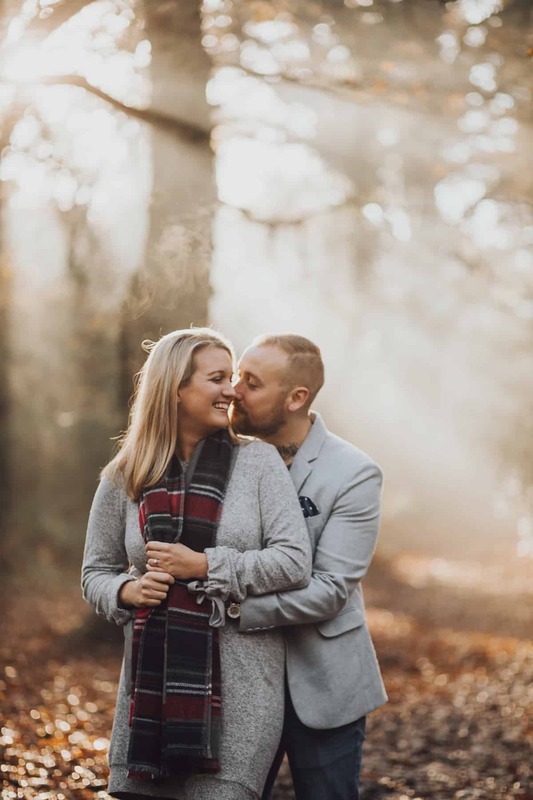 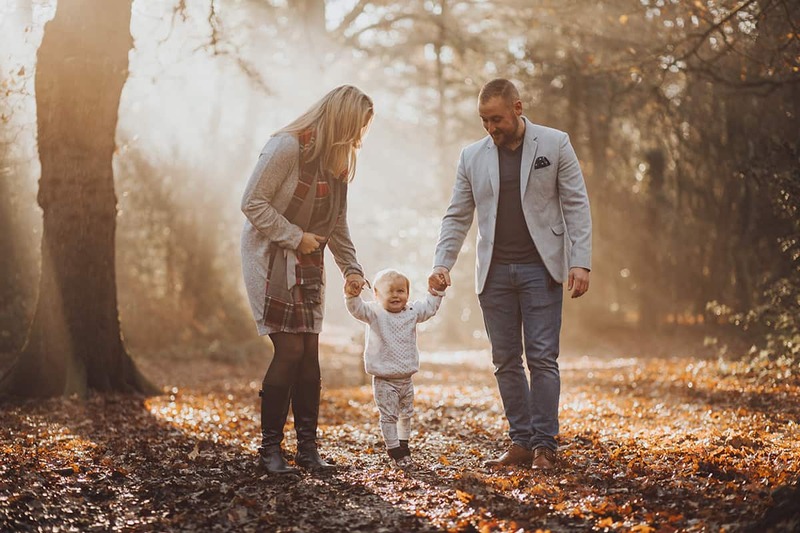 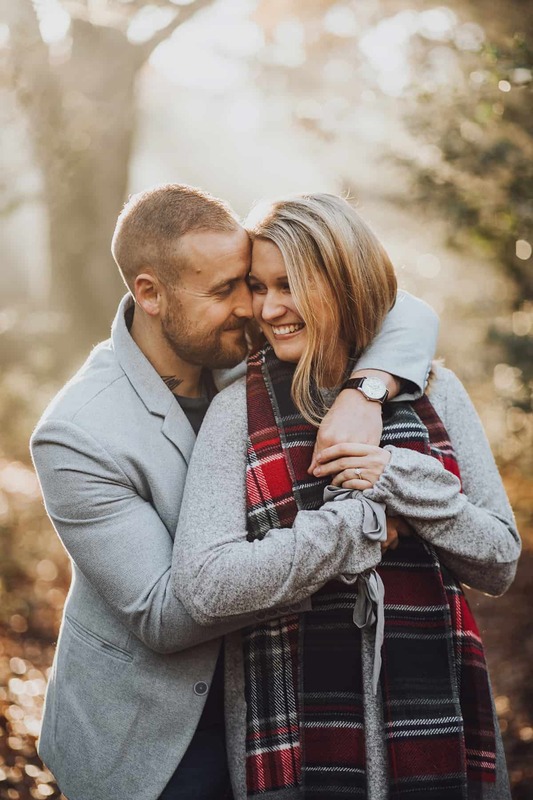 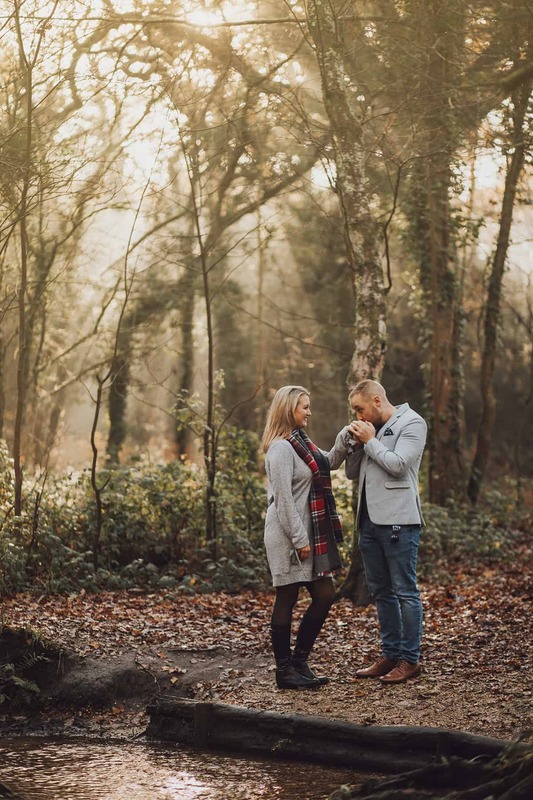 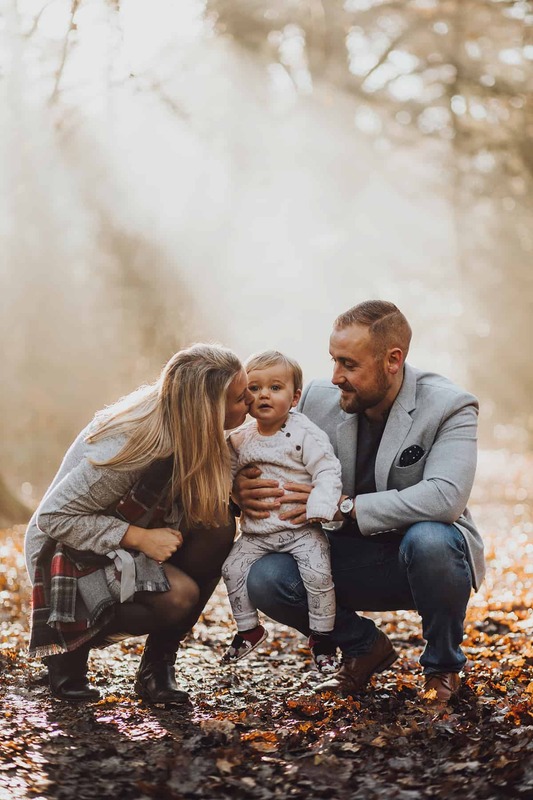 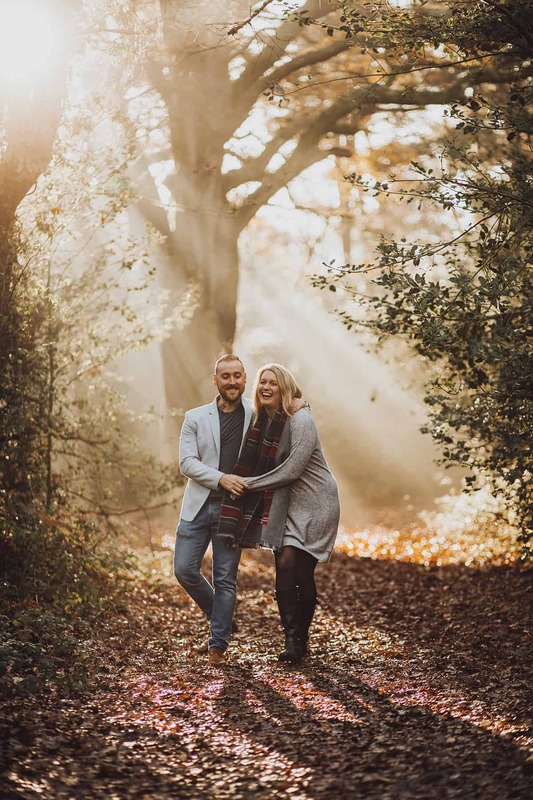 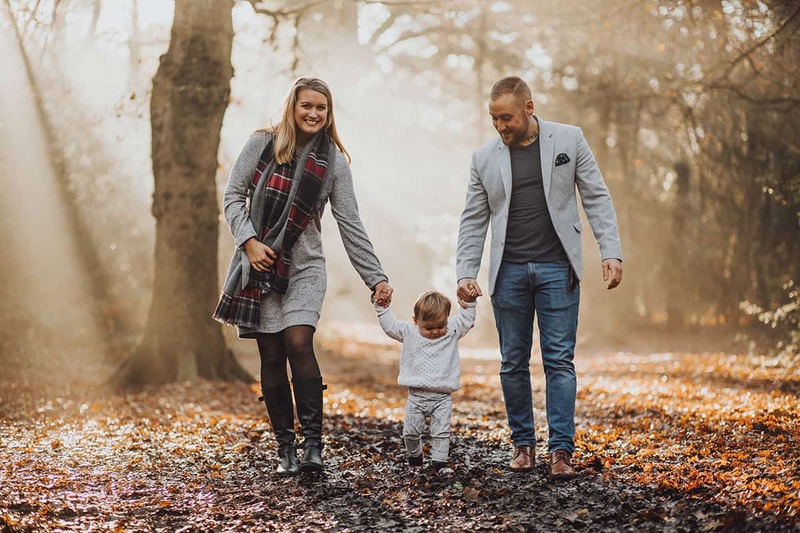 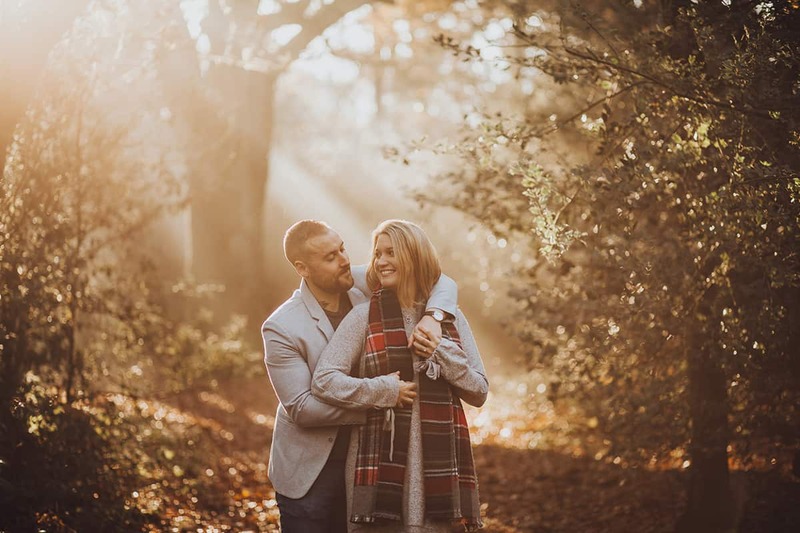 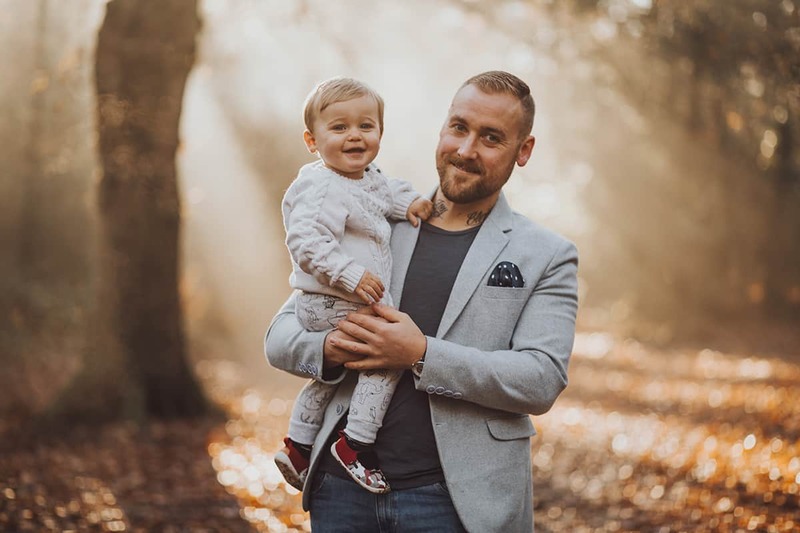 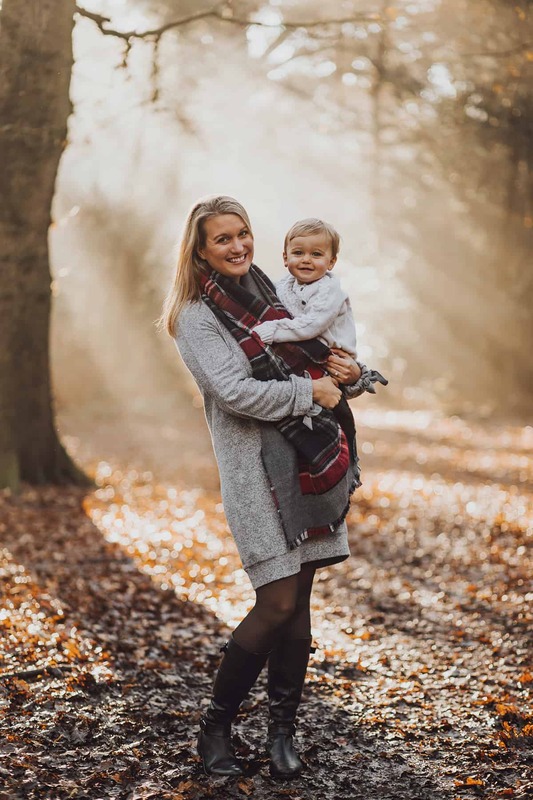 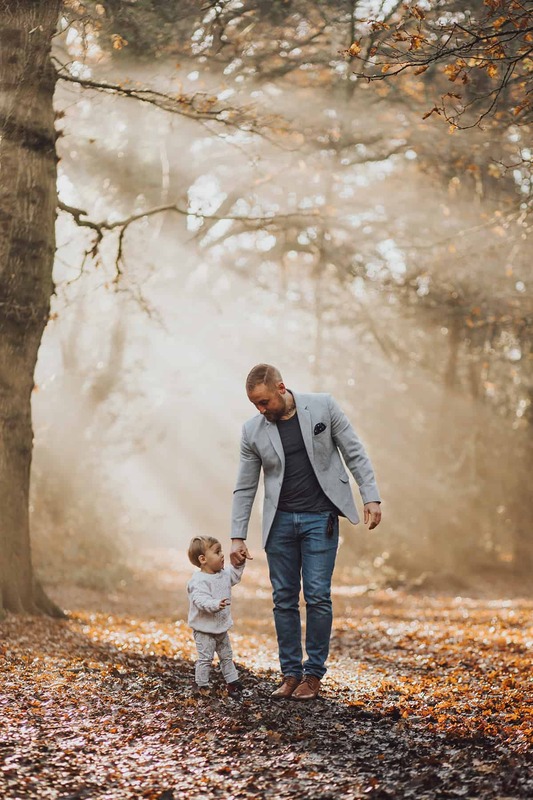 I’m so excited to capture their wedding day next year and meet their other little boy too, who unfortunately was at school when we explored Delph Woods together.